Simple Assembly Instructions: 1. Turn walker upside down, remove existing tips from rear legs. 2. Insert walker glide into tubing; the tip of the glide should face forward. 3.Tighten the bolt clockwise until the glide is firmly in place. Note: Check bolts periodically during use and tighten as necessary. Replace when glides become damaged or excessively worn. 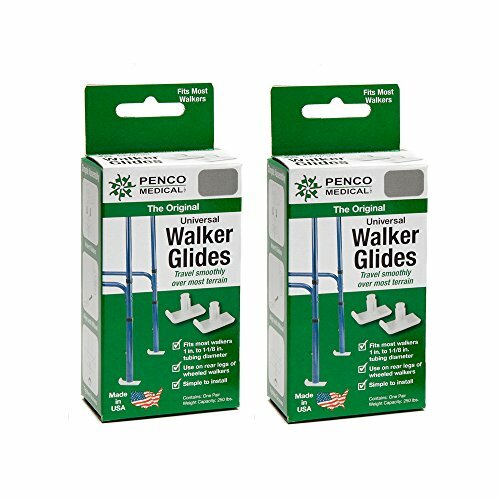 For use on rear walker legs when used in combination with wheels on front legs. If you have any questions about this product by Penco Medical, contact us by completing and submitting the form below. If you are looking for a specif part number, please include it with your message.